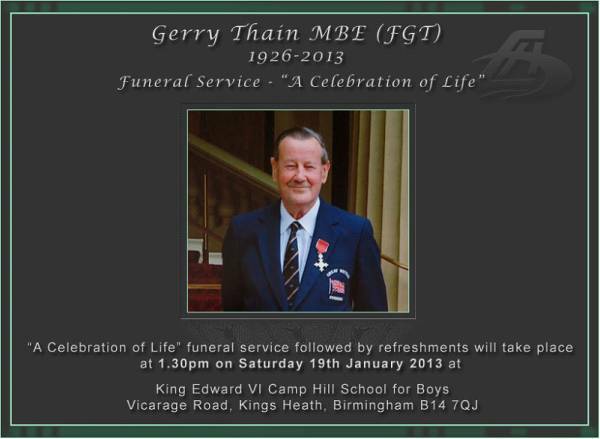 Gerry Thain founder and long time coach of Camp Hill Edwardians Swimming Club who died in January 2013. Gerry arrived in Kings Heath in 1956 to take up the position teaching P.E. with some English and a little French at the newly opened King Edward VI Camp Hill Boys Grammar School built on the former Cartlands estate off Vicarage Rd. Gerrys aquatic passion soon became evident taking the school youngsters to local swimming pools to improve their swimming and life saving skills. Starting a club for boys only at first, and then opening the club to girls as well because of pressure from the boys parents eager for their daughters to join in. The small club grew from strength to strength under the guidance of Gerry and his wife, Mary, and very soon swimmers were travelling from far and wide to become part of the Camp Hill family. Despite having no children of their own Gerry and Mary found themselves surrounded by a family greater than they could ever imagine. Gerry managed to get a 25m swimming pool built on the school site in 1972 and there were training sessions each weekday evenings, Saturday mornings and 2 early morning sessions for the elite swimmers. In the 1980s Camp Hill Edwardians swimming rose to the top qualifying for the National Speedo League final eight times in nine years and finishing third in 1982. 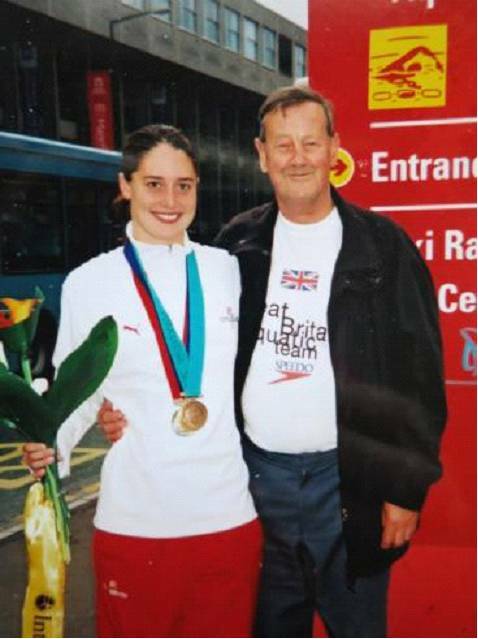 By now Gerry was becoming recognised nationally as an outstanding coach and stepped on to the international stage managing the British teams at several events including the World and European Championships. Perhaps the highlight of his career came later that decade when he was chosen to manage the G.B. team at the 1988 Olympic Games in Seoul and in 1989 was awarded the prestigious Harold Fern award for the most outstanding contribution to swimming at national and international level. Club members reveal, however that while this modest man found such awards very humbling this did not change his ever grounded nature and he continued to quietly coach his family of swimmers at his treasured school pool in Kings Heath. Further recognition followed and in 2001 the International Olympic Committee recognised Gerry for his remarkable contribution as a volunteer to the development of sport and Olympism, and to the promotion of friendship and solidarity among peoples and presented him with the I.O.C. diploma. Gerry and the Queen in 2003. He would not have realised it then, but an even greater mark of respect for his career was due to follow in 2003. 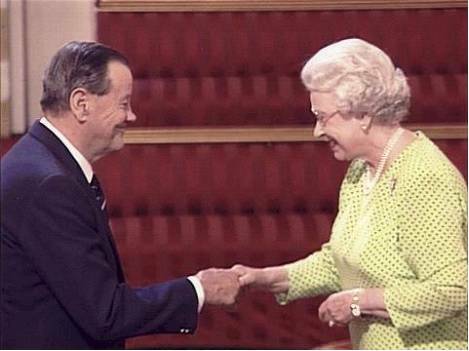 He was honoured by the Queen and awarded an M.B.E. for services to swimming. Gerry receiving BBC Midlands unsung hero award in 2008. 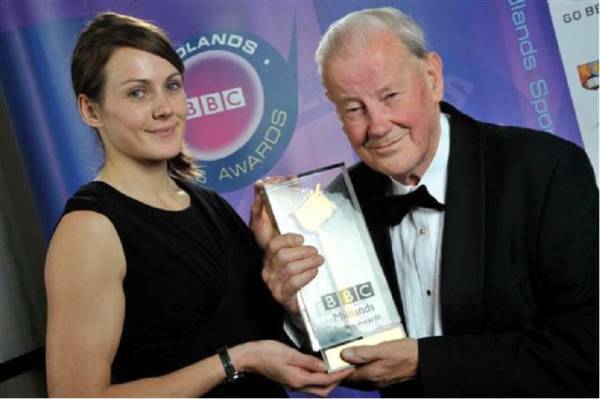 These accolades including a further honour in 2008 of the BBC Midlands Unsung Hero award, were a source of great pride for him and the club, but Gerry despite over 50 years of service in the swimming world was still quoted as saying I got a lot more out of it than I put in. Gerry coached 3 Olympians, Martin Edwards 1972, Graham Brookhouse 1988 &1992, and Georgina Lee 2000 & 2004. Georgina also won Gold Silver & Bronze at the 2002 Commonwealth Games and a Bronze medal at the European Championships in 2001. The club has stood out most prominently in recent times for its thriving masters team who currently boast more than one British, European and world record holder. Gerry's boundless commitment saw him travel to all corners of the globe to support his swimmers and even in his mid 80s he jetted off to Italy with his world masters athletes. Sadly Gerry who was 86 years old, past away on the 4th January 2013. The club has continued to thrive with over 250 members run by enthusiastic volunteers following Gerry's example.